This entry was posted in First Grade on May 15, 2017 by Cassie Crowe. This entry was posted in First Grade, Senior on May 12, 2017 by Cassie Crowe. 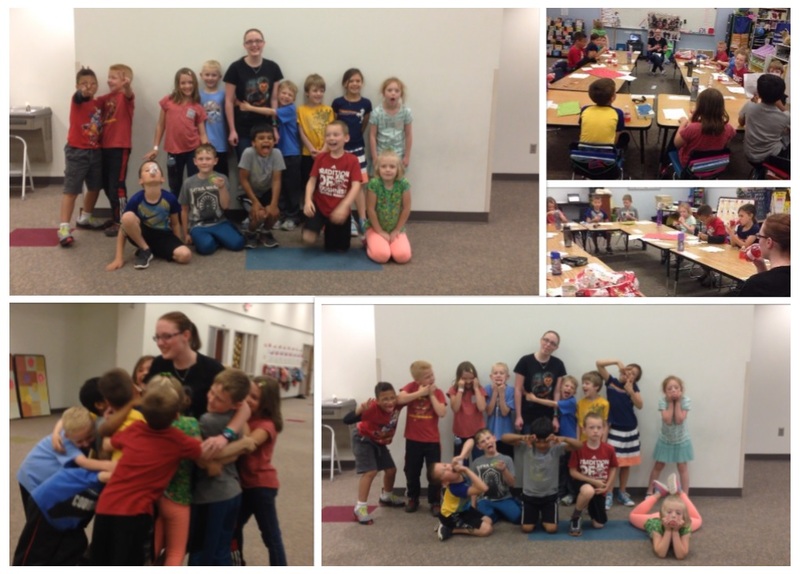 This entry was posted in First Grade and tagged 1st grade, 1st graders, First Grade, First Graders, News Letter, Newsletter on May 8, 2017 by Cassie Crowe. 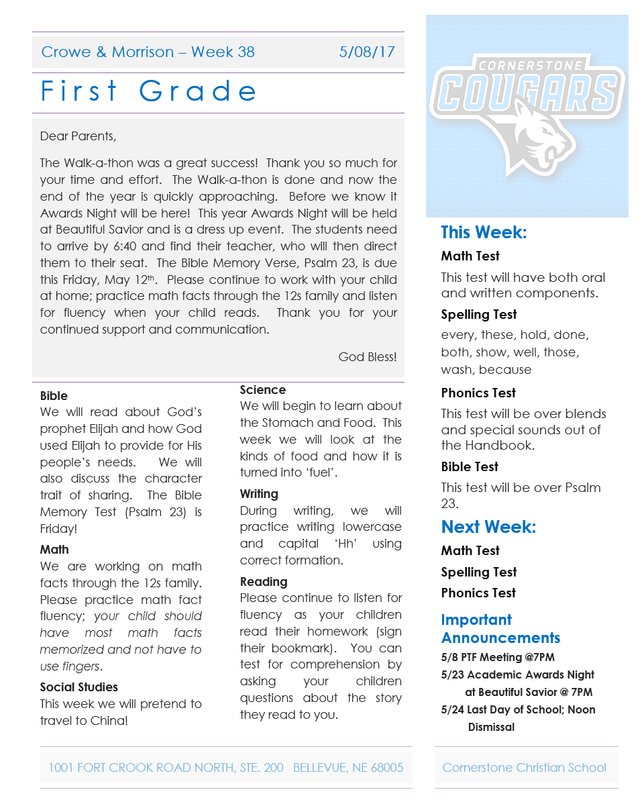 This entry was posted in First Grade and tagged 1st grade, 1st graders, First Grade, First Graders, News Letter, Newsletter on April 26, 2017 by Cassie Crowe. 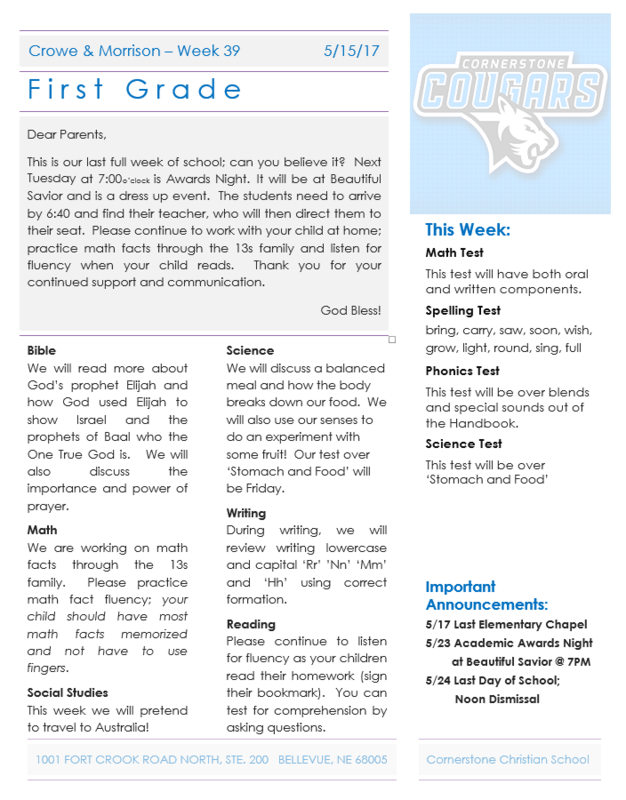 This entry was posted in First Grade and tagged 1st grade, 1st graders, First Grade, First Graders, News Letter, Newsletter on April 18, 2017 by Cassie Crowe.